As the original Galaxy S3 repair specialists in Perth Western Australia, we have learnt a thing or two about servicing Samsung’s mobile phones. We can fix just about any Galaxy S3 problems you dish out at us including replacing just the glass screen which can save you alot of money not having to replace the entire screen. So what are you waiting for contact us for more info. In the past if you smashed your glass screen then you would need to replace the whole screen. Thankfully now at Phone Ninja we offer Galaxy S3 Touch only replacements at a fraction of the cost of the entire screen. To be eligible for this Galaxy S3 service you will need both a working LCD and touch screen. In other words your screen will need to be working 100%. Unlike other repairers who take a DIY, backyard approach; at Phone Ninja all glass is removed in a dust-free environment and assembled by professionals while only high quality parts are used. We also replace the frame which is the border around the screen for that brand new look as this part is always dented or scuffed. This service is offered for both the 3G Version i9300 and the i9305 4G LTE model. 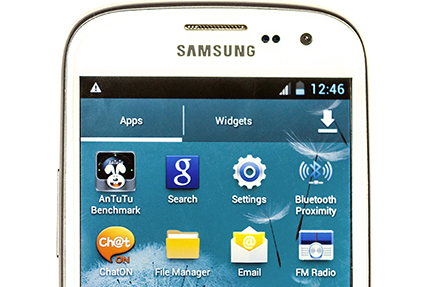 A common Galaxy S3 issue is smashing the screen due to an accident for example dropping the phone. While the glass is fused to the S3 LCD we can thankfully now replace just the glass. A Galaxy S3 screen replacement is however for customers who have also damaged their LCD screen. This means whether you have a cracked LCD (symptoms inc. white screen, black screen, lines through the screen, or a muddeled display) or a non functioning touch screen then you will require our Samsung i9300 screen replacement from our Perth WA stores. We have found that the Galaxy S3 battery is often the source of many issues, however we recommend you take advantage of our Galaxy S3 troubleshooting expertise in order to diagnose whether your battery is actually causing the fault or the culprit is another part altogether. Common symptoms include short battery life, turning off or crashing when the low battery warning indicator is lit up, turning off randomly, and not charging. Unfortunately all these errors can also point to other more problematic issues. The only way to be sure is to drop into our store to have your phone & battery tested. Liquid damage often proves to be the end for many phones, but the good news is that it doesn’t have to be that way and often you don’t need a replacement phone. Water damage can manifest with a range of symptoms ranging from not turning on, to screen damage, to charging problems, to crashing, and many other related issues. In our continuing pursuit of professionalism we use a state of the art ultrasonic cleaner with a proprietary cleaning solution. In any case with water damage it is imperative that you act quickly; so remove your battery and get your Samsung mobile phone into our store as soon as possible so we can remove the ingression. While the Galaxy S3 errors mentioned above are by far the most common problems we see; there are still other repairs that we come across. These include charger port replacements, ear speaker, loudspeaker, microphone, headphone jack, front and rear cameras, sim card reading issues, reception problems as well as broken navigation and home button issues. Google Android software issues including bricking from rooting are also common.